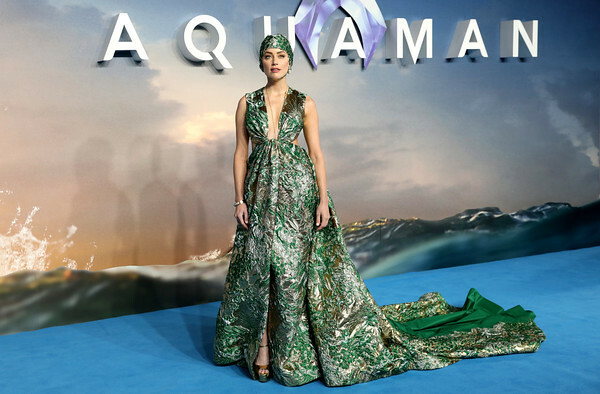 AMBER HEARD STUNS IN VALENTINO AT ‘AQUAMAN’ WORLD PREMIERE IN LONDON! Amber Heard was breathtaking in Valentino at the Aquaman world premiere in London, held at Cineworld Leicester Square on November 26, 2018. The blonde beauty was joined on the red carpet by her dapper costar Jason Momoa. From DC Extended Universe and directed by James Wan, Aquaman stars Jason Momoa as the reluctant ruler of the underwater kingdom of Atlantis. He gets caught between the surface world constantly threatening his oceans and his own people who are ready to rise to the surface and revolt. ‘AQUAMAN’ HITS THEATERS ON DEC. 21, 2018.